Next week from GW: Warbands n’ Warlords, as the Doom of Molech comes to town, accompanied by several Underworlds Warbands out in the wild. There’s a titanic wave of releases this next week from GW. 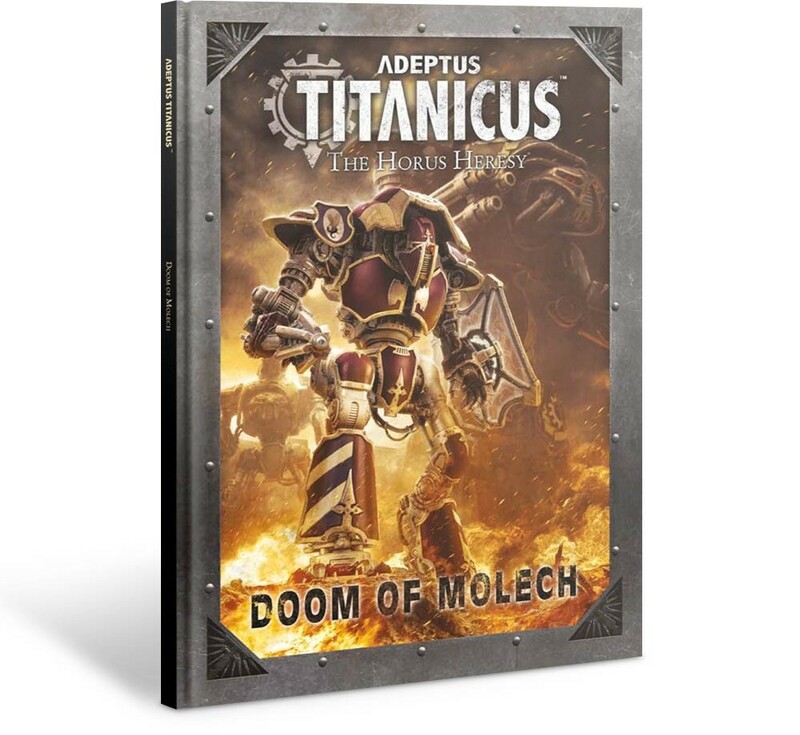 For Adeptus Titanicus, the Doom of Molech is here at last, bringing a new campaign, new missions, and new knight-focused rules to the game. And if you’re interested in the competitive skirmish of Warhammer Underworlds, you’ll find two new Warbands available–accompanied by some familiar faces. First up, here’s the Doom of Molech come at last. This knight-heavy expansion is all about running your own banners, be it as supplemental forces, or even an all-knight army. Play Titanicus on hard mode, and find out what new tools are available to you noble stewards of the noblest Houses. Hot on the heels of the Titandeath campaign book comes Doom of Molech, which retells one of the most pivotal conflicts of the Horus Heresy. In addition to recounting the seismic events of the Battle of Molech, the book introduces a detailed campaign that enables you to refight each stage of the war over the course of six narrative missions. 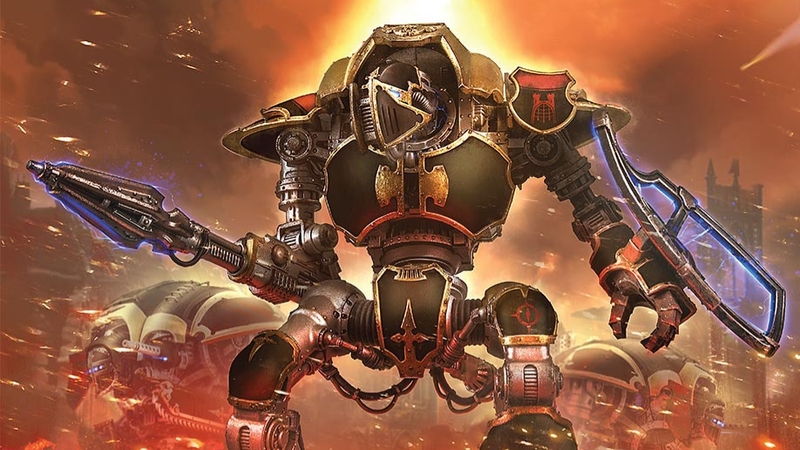 What’s more, there are also rules for four new Titan Legions and seven Knight Houses – which you will be able to field as full armies for the first time – and much more besides! Accompanying this release is a deck of Stratagems to help you get the most from your Knight banners, These 26 cards gather up the stratagems in one convenient place. 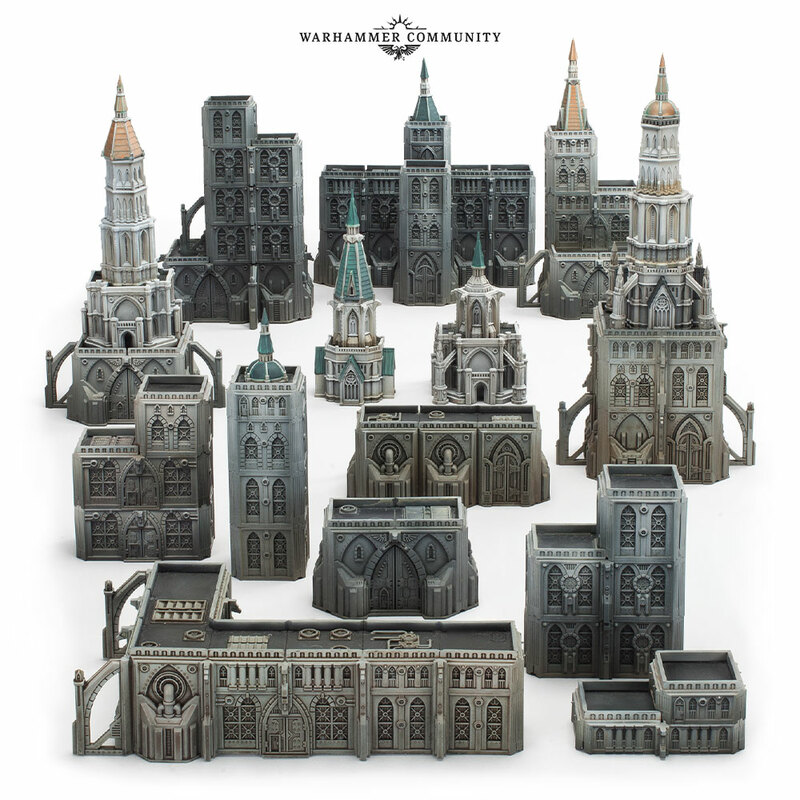 Last up is a pair of plastic scenery sets designed to complement your Adeptus Titanicus battlefields, each with a modular design and Gothic styling. 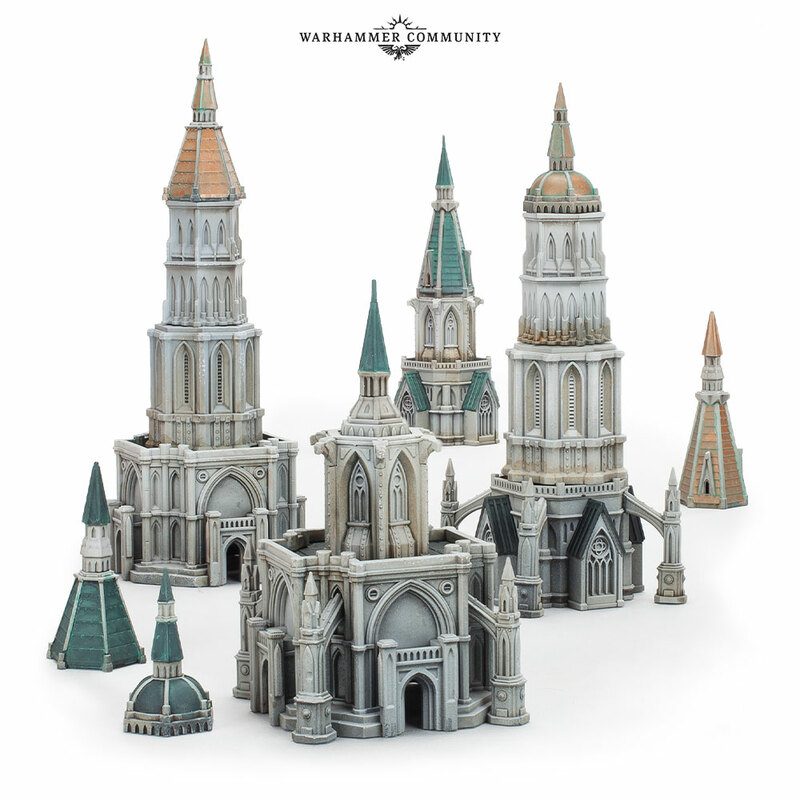 The Civitas Imperialis Spires kit is brand-new and engineered to fit with all of the existing kits in the range to give you loads of cool options with which to revamp your terrain collection. But wait there’s more. You’ll also get some sweet new Warbands for all your Warhammer Underworlds needs. That’s right, the Sylvaneth are about to enter the Mirrored City! More specifically, they are re-awakening there, having been roused from their long slumber by the magical aftermath of the Shyish Necroquake. 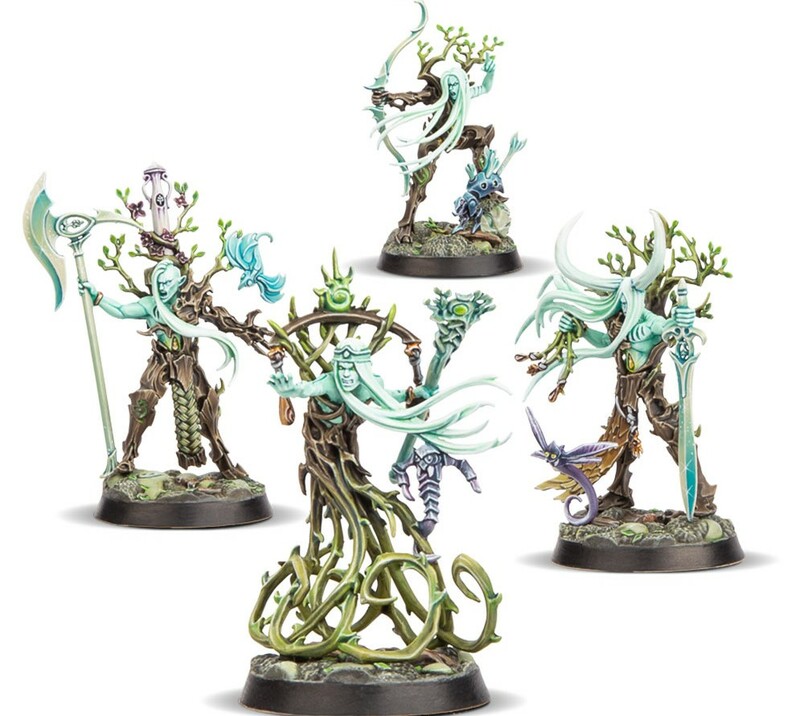 This set includes four push-fit Sylvaneth miniatures cast in green plastic, as well as 60 cards to augment your fighters and provide new tactics and challenges for your games of Warhammer Underworlds, including loads of universal cards that can be used by any warband. 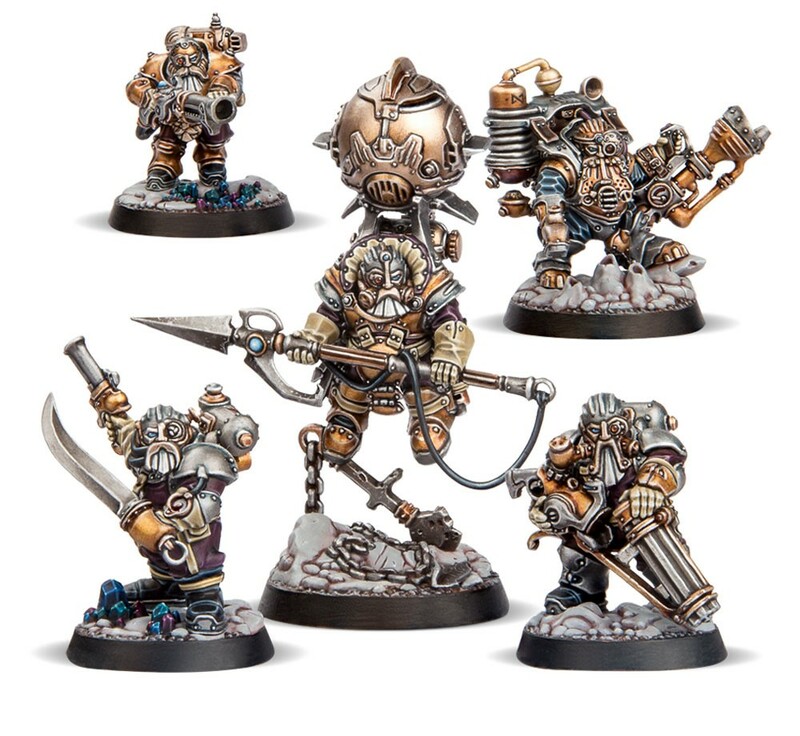 The Kharadron Overlords warband, Thundrik’s Profiteers, have travelled to Shadespire intent on uncovering the ancient Katophrane relics that can be found there. The warband includes five plucky duardin cast in a metallic brown plastic, as well as a set of 60 cards with which to build an all-conquering deck for your Kharadron Overlords or other warbands. You’ll also get dice and sleeves for both of the new factions–but one final release is out this next weekend. The other Night Vault Warbands, so that’s Zarbag’s Gitz, Thorns of the Briar Queen, Mollog’s Mob, the Godsworn Hunt, the Eyes of the Nine, and Stormsire’s Cursebreakers, are all getting released as individual mini sets. Just grab the minis and slot them into your favorite AoS army. 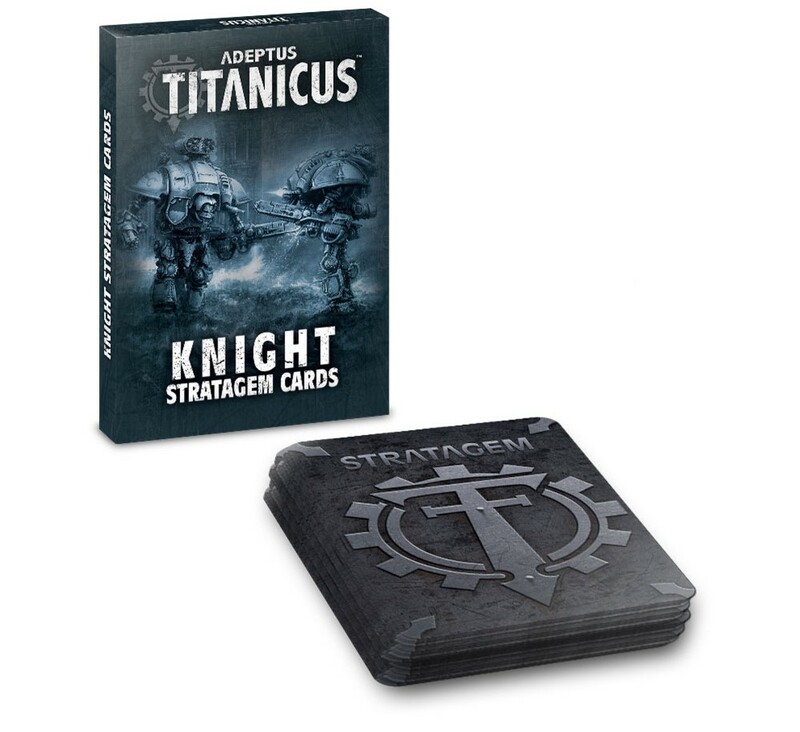 All this coming next week–keep an eye out for more Knight rules previews and titanicus reveals!